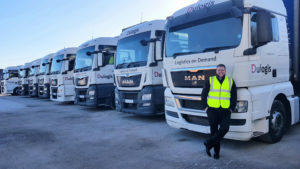 From a standing start as one man with a van to a fleet of 30 vehicles, overseeing a multi-million pounds annual turnover and a nationwide distribution network, Craig Chapman has come a long way in business. 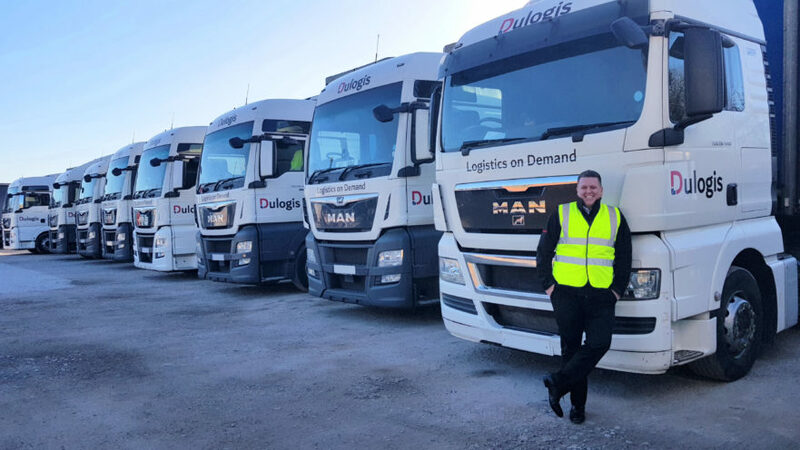 Now Craig has launched the Dulogis Group, pledging fast, reliable distribution solutions for customers of all sizes from his headquarters in Tittensor, Staffordshire. Such high levels of flexibility have driven rapid growth, from eight to 40 staff in 12 months, and has seen Dulogis transporting loads for many blue-chip companies including JCB, Michelin and Bentley, while also carrying-out work for private individuals, collecting Ebay goods and delivering urgent items, such as forgotten passports to airports and laptops to business meetings. The company, formerly known as UK Sameday, is actively recruiting for LGV drivers and office staff, to work at its Staffordshire headquarters and across the UK. The company was founded in 2003, when Craig, from Stoke-on-Trent, left an office job and borrowed money to buy a single van. He picked up delivery jobs by contacting customer’s directly, including regular bread delivery work for Roberts Bakery, Northwich. Craig added: “I fostered a strong relationship with Roberts Bakery and we added new vans to cope with demands from them. Growth has been particularly rapid in the past 18 months, as we actively began to source contracts with more businesses. Dulogis runs its own fleet of 17 trucks and 13 vans and works with thousands of sub-contractors each month. Now the company has expansion plans, which hinge on the recruitment of four Business Development Managers, in locations across the UK, to add further impetus to growth. A key to growth has been staying a step ahead of many other companies in the use of online technology. Dulogis has invested significantly in its website and bespoke software, to allow customers to get an instant quote and book a vehicle online. Craig said: “Having worked in the industry on the other side, trying to book a carrier at short notice, I know how difficult it can be trying to find the reliable service needed. Our online services solve this issue and can be used by business account holders and private customers, as we also accept credit card payments.